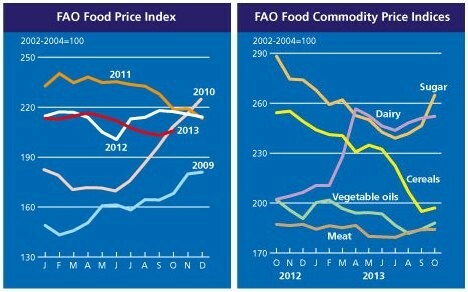 In the first major indication of the way food prices will move in 2012, the UN Food and Agriculture Organization (FAO) has announced that its Food Price Index rose by nearly 2% or four points from December 2011 to January 2012. 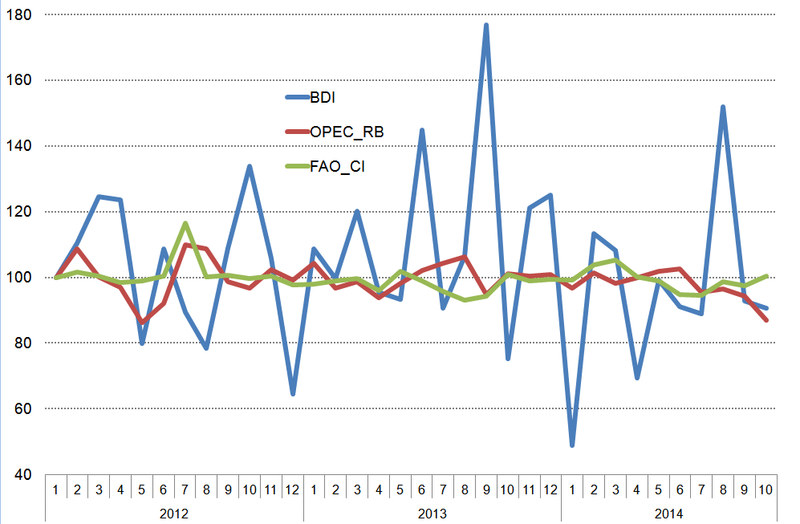 This is the Index’s its first increase since July 2011. 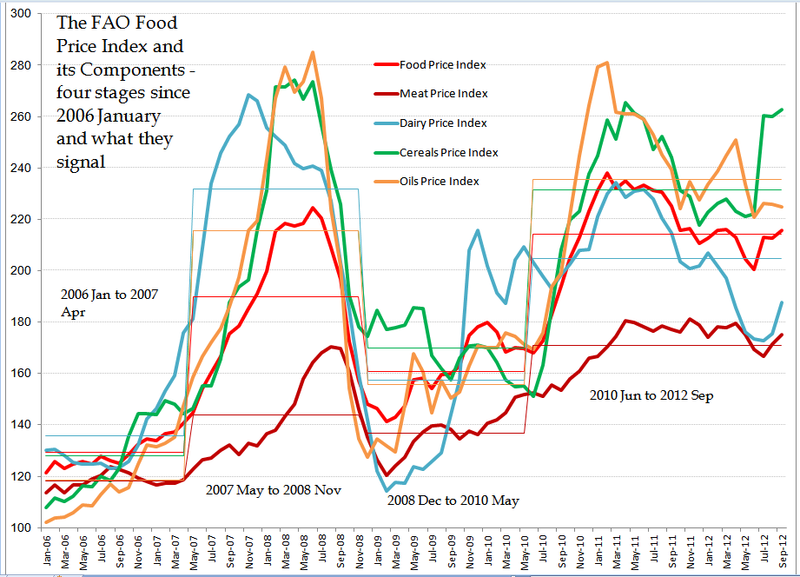 A close look at the FAO Food Price Index shows that prices of all the commodity groups in the index have risen (oils increasing the most). 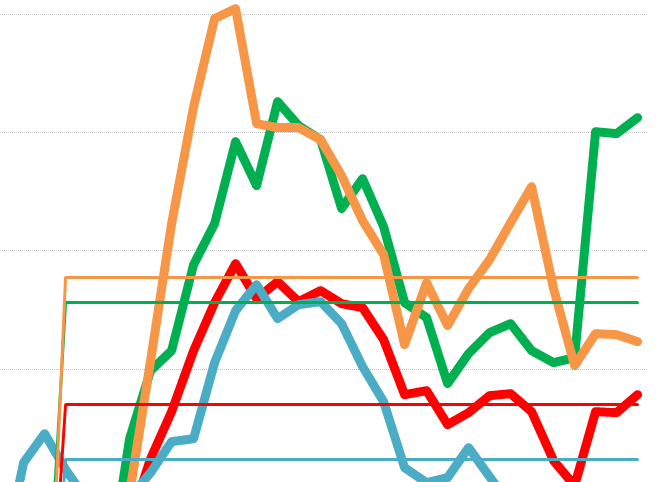 At its new level of 214 points, the index is about 7% lower than what it was in January 2011 (when it reached 231). 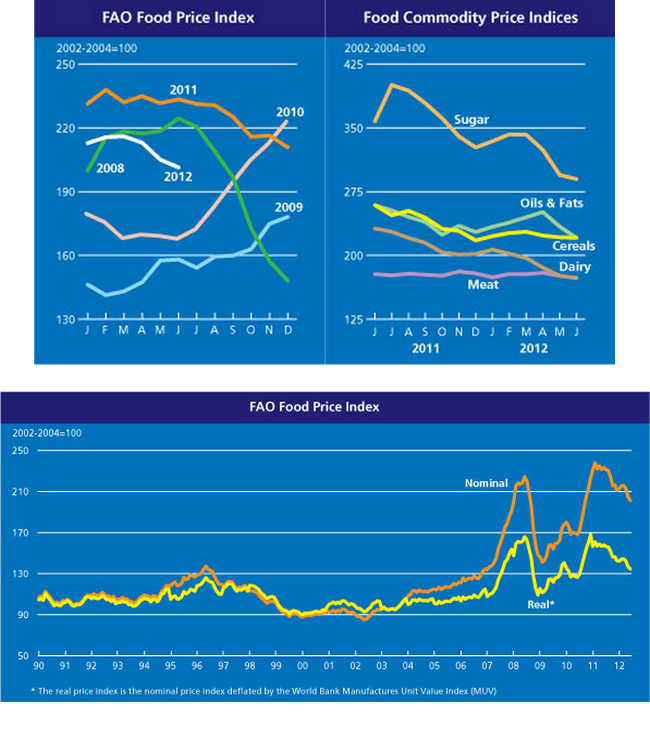 In 2010 July, the Food Price Index has begun a steep upward climb it maintained for 7 months until 2011 February, from 172 to 237. 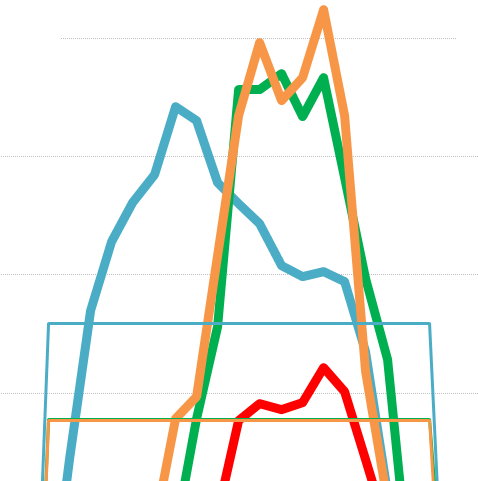 Now, this 4 point jump in a month is the sharpest since the rise from 231 in 2011 January to 2011 February. 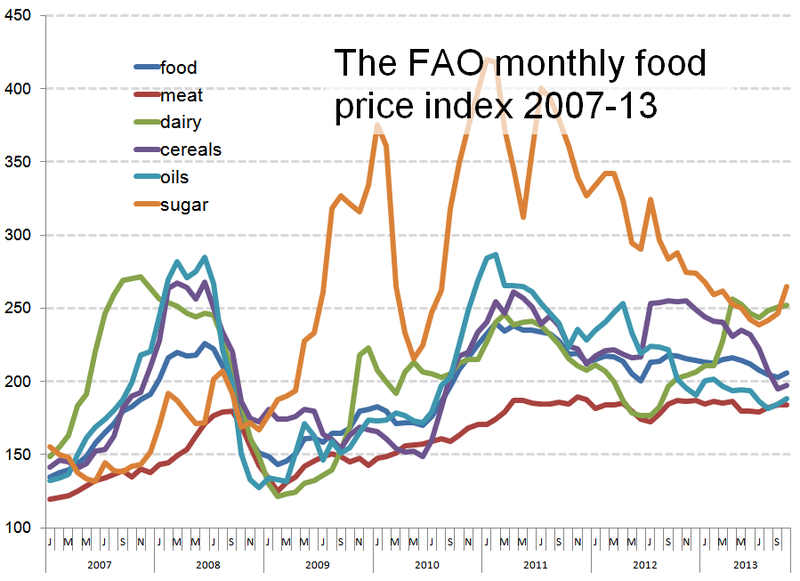 “There is no single narrative behind the food price rebound – different factors are at play in each of the commodity groups,” said FAO’s Senior Grains Economist Abdolreza Abbassian. “But the increase, despite an expected record harvest and an improved stocks situation, and after six months of falling or stable prices, highlights the unpredictability prevailing in global food markets,” he added. 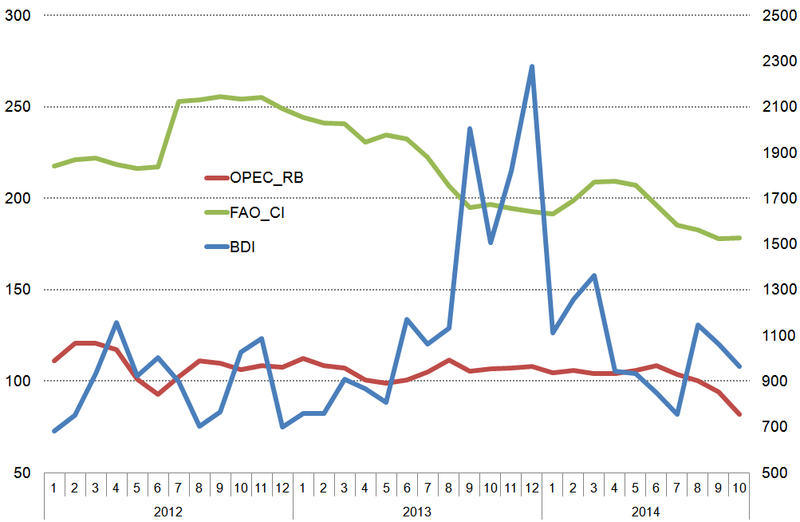 “I can’t see that the usual suspects – the value of the dollar and oil prices – were much involved in January. But one reason is poor weather currently affecting key growing regions like South America and Europe. It has played a role and remains a cause for concern,” he concluded. What FAO is seeing and saying is routinely misunderstood or deliberately miscast by the mainstream business and financial press. 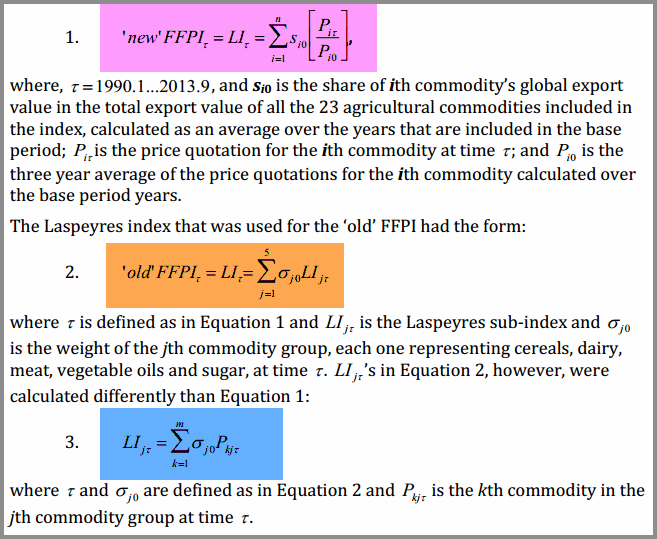 An example of this can be seen in a recent opinion found on Forbes, the business magazine, which links “a slowing UN FAO food price index” and “falling commodity prices” to the global economic slowdown. This, the magazine has said, is “putting further downward pressure on food inflation”. Of course this is completely untrue, as wage labour, informal sector workers and middle class residents in many cities and towns of the South know. 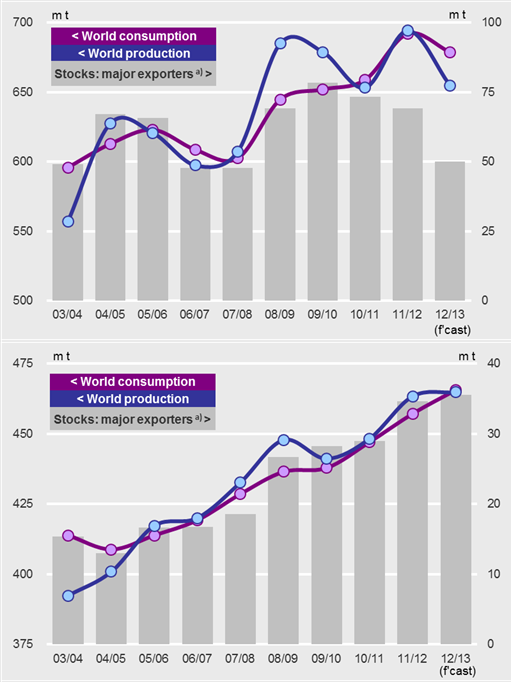 Thus the ‘market’ view is that global demand for agricultural products appears to be slowing. This view exists because this sort of media represents the interests of its owners – the 1% targeted by the Occupy movement. 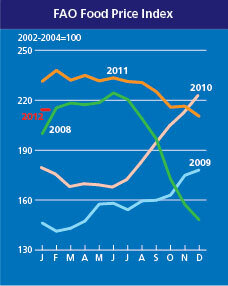 Ever since 2011 July, when the FAO Food Price Index ceased its steady upward march, organs and media representing the interests of the global money markets and the interests of the speculators have attempted to leaven their crooked discussion of the matter by saying that the global dynamic in food and commodity markets took a structural turn. Their insistence on linking “quantitative easing in the USA” and what they call “emerging market demand” (meaning mainly China and India) for food staples has been a consistent feature of this disinformation. 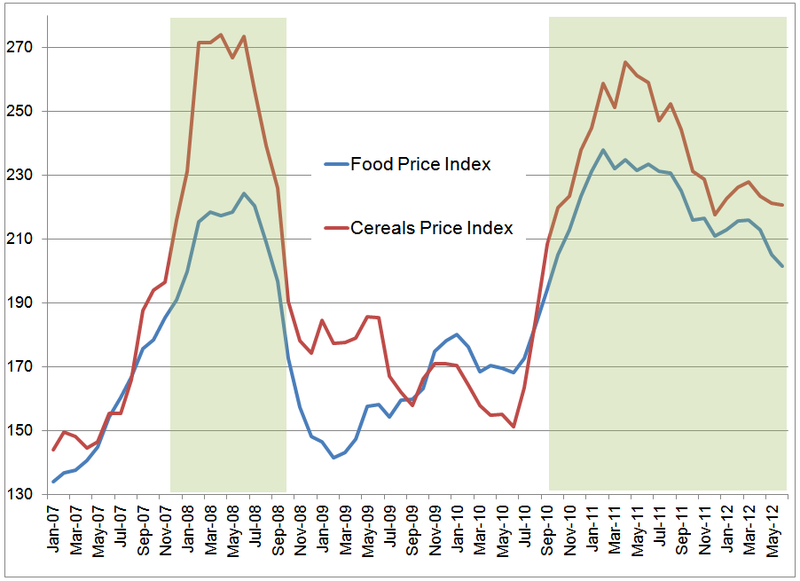 What we are seeing is that the FAO Cereal Price Index averaged 223 points in January, up 2.3% (5 points) from December. 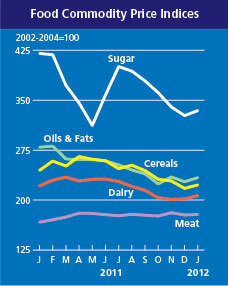 International prices of all major cereals with the exception of rice rose, with maize gaining most, 6%. 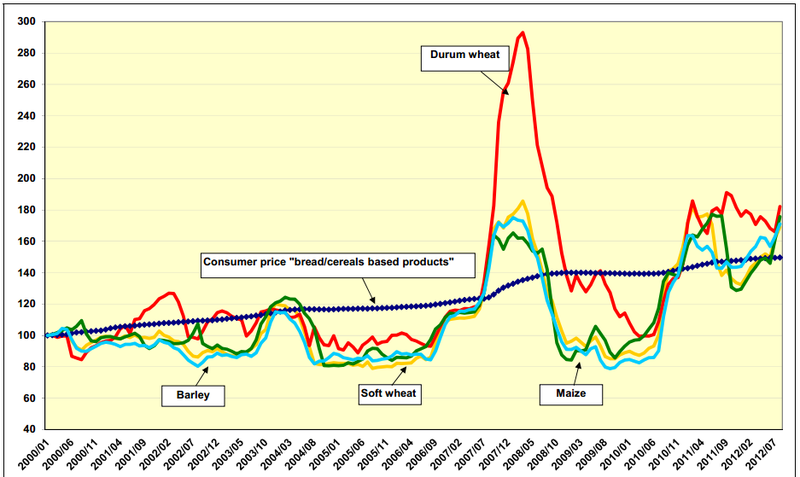 Wheat prices also gained, though less significantly. 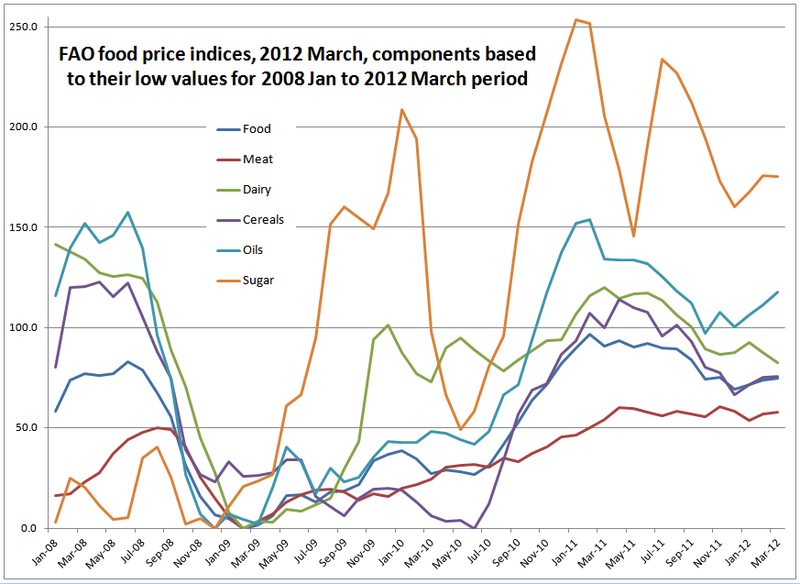 Prices mostly reflected worries about weather conditions affecting 2012 crops in several major producing regions. 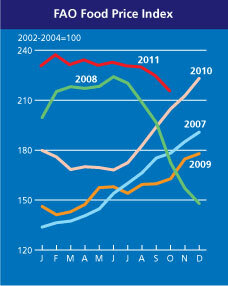 Fears of decline in export supplies in the Commonwealth of Independent States also played a part. 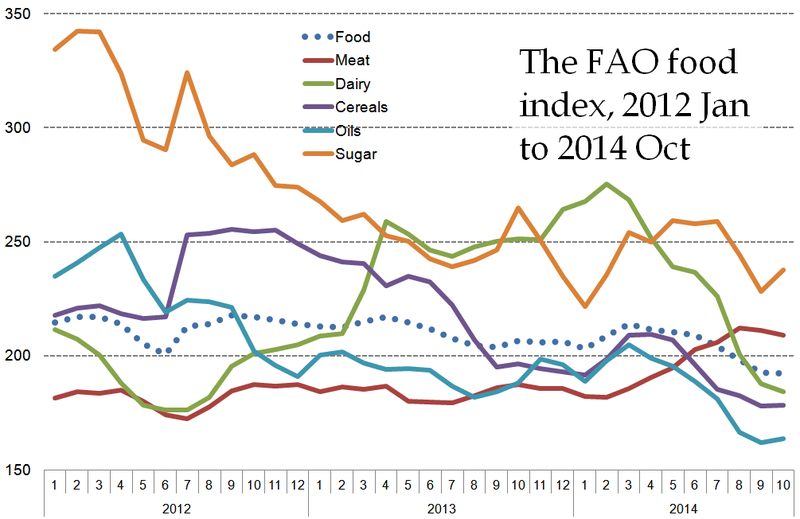 According to FAO’s latest forecast world cereal production in 2011 is expected to be more than sufficient to cover anticipated utilization in 2011-12. 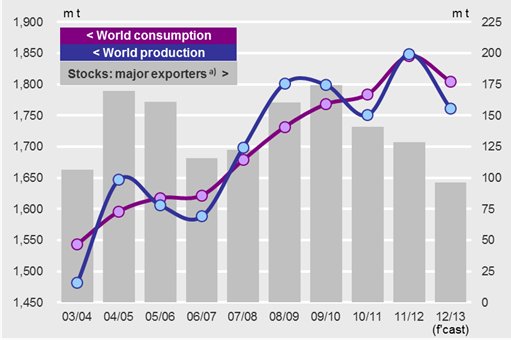 Production is expected to reach 2,327 million tonnes – up 4.6 million tonnes from the last estimate in December. That would be 3.6% more than in 2010 and a new record. 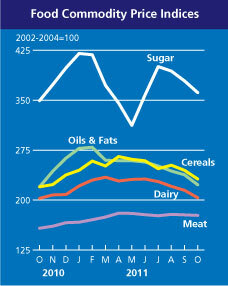 FAO lowered slightly from December 2011 its cereal utilization forecast for 2011-12, to nearly 2,309 million tonnes, still 1.8% higher than in 2010-11. 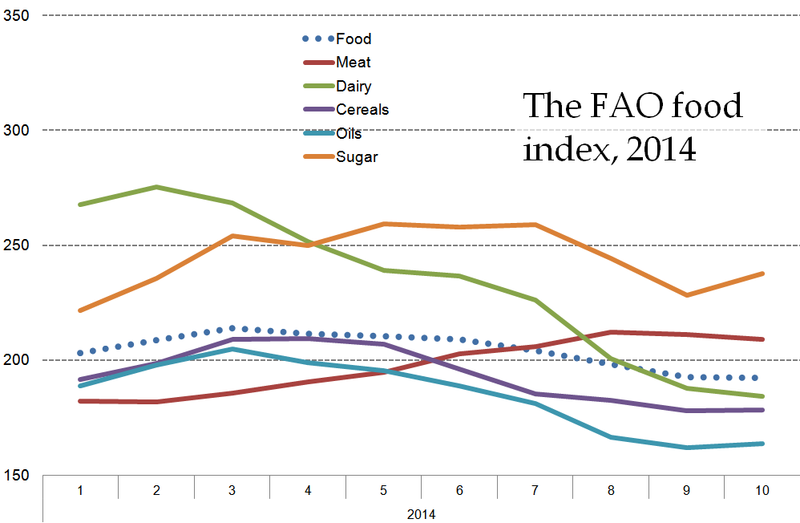 That would put cereal ending stocks by the close of seasons in 2012 at 516 million tones, 5 million tonnes above FAO’s last forecast. A sober note has been sounded in the Jakarta Globe. The Indonesian newspaper reported the Asian Development Bank warning that Indonesia and other nations in Southeast Asia should be prepared for a possible rise in food prices, which might stoke inflation. Changyong Rhee, chief economist at ADB, is reported by the newspaper as having said the global financial turmoil, marked by the euro zone debt crisis and a possible slowdown in the US economy, might increase the volatility of prices for food and other commodities. According to the ADB, research funding [in agriculture] is being depleted amid climate change, making it difficult for food production to keep up with growing demand. 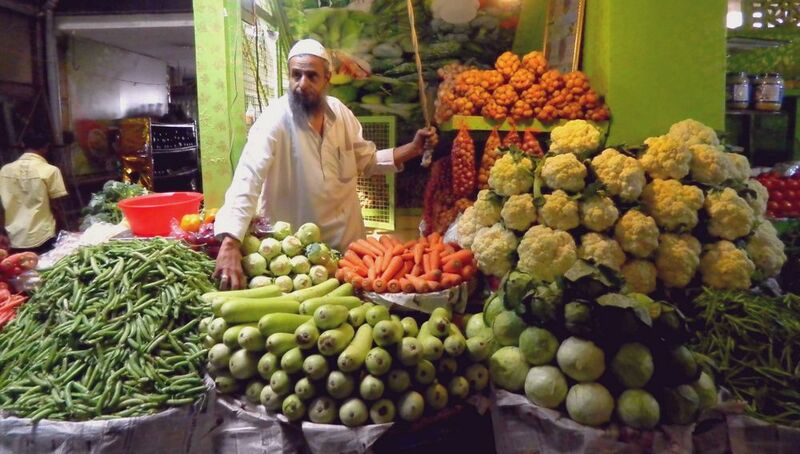 “Food price increases have become more persistent than in the past,” he said in Jakarta. “It has a major impact on food security for millions [of people].” The Jakarta Globe reported that the FAO Food Price Index has risen by 50% in the last four years, compared with a 16% increase from 1991 to 2006.